On September 1, a solemn reception for freshmen of Tomsk Polytechnic University was held at the Palace of Spectacles and Sports. A festive concert under the motto We Are One Team! was prepared for them. 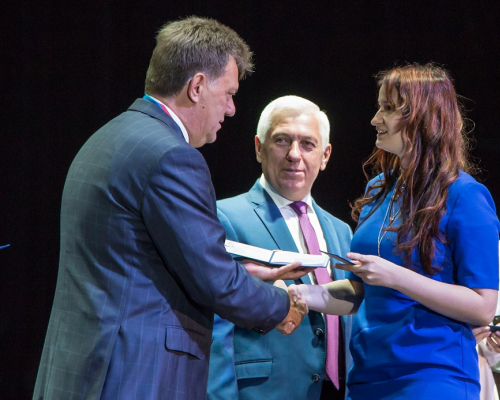 Students admitted with the highest scores received student’s books and student’s cards from TPU Rector Petr Chubik and Mayor of Tomsk, a TPU alumnus Ivan Klein. This year Tomsk Polytechnic University enrolled over 1,500 people to bachelor and specialist programs and over 1,400 people to master programs. Among them there are 15 one-hundred-score students, 65 olympiad winners, 391 freshmen graduated from high schools with honors. The average USE score of the freshmen is 78.45 (on a subject). Petr Chubik addressed the freshmen: ‘Today is the 1st of September, the Day of Knowledge. In addition, today the summer is officially over and each of you will remember this summer during your whole lifetime because each of you won an unforgettable victory this summer – you became TPU students so my congratulation to you. What event was the most important for our country this summer? This was the World Cup 2018 which for the first time was run in Russia. Our team achieved outstanding success that’s why our President awarded these soccer players honorary sports titles. In my opinion, they absolutely deserved them. TPU team is also a team of professionals. We play on our own scientific and educational field. We have own championships. They are world university rankings such as Times Higher Education World University Rankings, QS World University Rankings, and Academic Ranking of World Universities (ARWU). And whatever ranking you consider our University is guaranteed in top 10 best Russian universities. At the celebration, the freshmen found out what opportunities they have while studying at TPU. 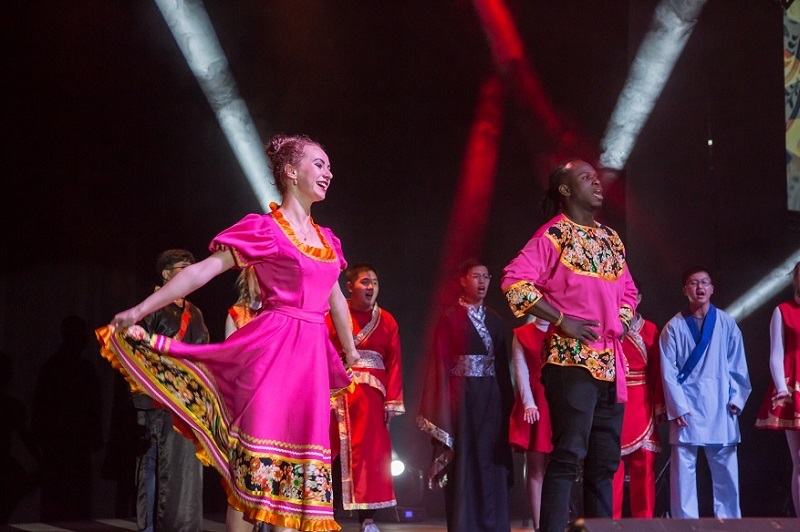 Creative collectives from TPU International Culture Center, international students and graduates presented all aspects of the student life: academic, research, social, sportive and cultural activities. Besides, according to traditions, the freshmen admitted with highest scores received student’s books and student cards from TPU rector and an honorary guest Mayor of Tomsk Ivan Klein who is an alumnus of Tomsk Polytechnic University. ‘You know, I am proud that I earned my first degree, the main degree of my life at this wonderful school, Tomsk Polytechnic University. They say it correctly that Tomsk Polytechnic University is the best of the best! This is true! You are in the most successful school in Russia. It is noteworthy that the Rector and the Mayor presented the best freshmen with memorable gifts, i.e. soccer balls signed with their autographs. More pictures you may find at the link.